Our Two Scents was started by two friends who have worked together in the dental field for many years. 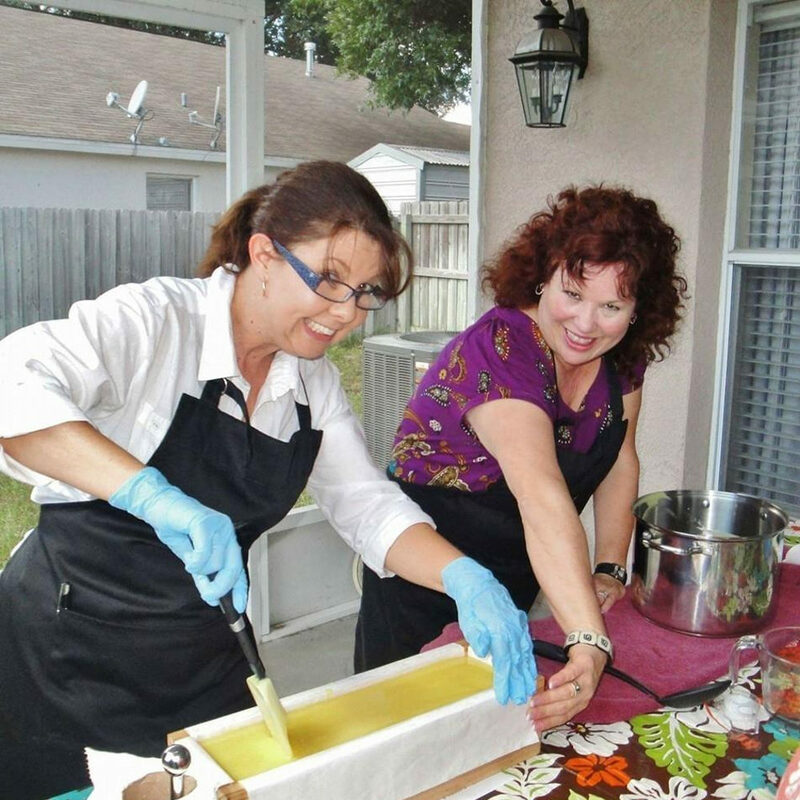 The idea of making quality handcrafted soaps began with a fun and informative soap making class. This class sparked our minds with all the possibilities of the things we could do with our new found knowledge. We immediately thought, why not market our own creation and share our excitement of our love for soap with everyone else? "Our soaps are handcrafted in small batches with a positive and loving environment to enhance good aura." Lorrie, with her outgoing personality and love of aromatherapy, is the creative force behind the development of all the different varieties of our soaps. Regina's forte is the chemistry and scientific portion of the soap making process. Together, we each are involved in all the phases of soap making, from the development of each new variety, weighting, packaging and marketing our handmade creations. Our soaps are handcrafted in small batches with a positive and loving environment to enhance good aura. The gentleness of the lather, the aromatic tingle of the nose, this is the culmination of the hard work and passion we put into our craft. It is our goal to provide you with quality soaps that will awaken your senses and you will enjoy to use. We sincerely hope that you love using our soaps as much as we love to create them! All of Our Two Scents soaps are handcrafted in small batches in Tampa, FL. Our handmade soaps smell incredible, feel wonderful and they are made from the finest ingredients. We carefully blend high quality vegetable oils to create soaps with a luxurious lather that will moisturize your skin. Real essential oils are added during the soap making process to create a delightful aroma. Our soap is the result of a natural reaction called saponification. Saponification occurs when fats or oils are mixed with an alkali (lye). Our Two Scents was started by two friends, Regina Klein and Lorrie Escobar, with the idea of making quality handcrafted soaps. Our soaps contain glycerin, a clear, naturally occurring liquid that absorbs water from the air and keeps your skin soft, healthy, and beautiful! Store bought soaps have had all the glycerin removed, (and replaced with synthetic lathering agents and chemicals!) so that it can be used in other products. Because of this lack of glycerin in store bought soaps, you’ll notice that your skin can be dry and a little flaky! In fact, store bought soap is closer to a powdered detergent than a traditional handmade soap. Wow! Who would have known?? Well, we did! That’s why our soaps won’t strip your skin of its natural oils. They are a natural moisturizer, and soothing to your skin. So remember…glycerin is a natural part of every bar of Our Two Scents Handmade Soaps! Olive Oil! This is so awesome, that we’ll say it again…Olive Oil! Olive oil is the main ingredient in all of our soaps. When olive oil is blended with lye to make our soaps, it (the olive oil!) contributes to smoother, more elastic skin. Yay! Who doesn’t want smoother, more elastic skin! Olive oil soap cleans your skin without stripping away your natural oils, therefore you’ll love the way your skins feels after using our soaps, so soft! Olive oil is a natural source of the antioxidants vitamins E and A, which fight free radicals. These free radicals damage cells, potentially accelerating aging of the skin. Soap made with olive oil is hard, so the bars tend to last a long time. Olive oil as an all-natural cleanser dates back at least 1,200 years, who can argue with that history!? So many benefits with such a simple ingredient! All of our soaps are handmade in small batches. What’s so great about that? Well…for one thing, attention to detail. When our soap is made in small batches, we can really pay attention to it. And we all know that when something (or someone!) gets a lot of attention, it makes them happy! So we give our soaps lots of love and attention, which makes our soaps happy. It also probably helps that all of our soaps get a little smudging with sage before they go out into the world. This helps to spread the happiness! Dr. Suzanne and staff love Our Two Scents. 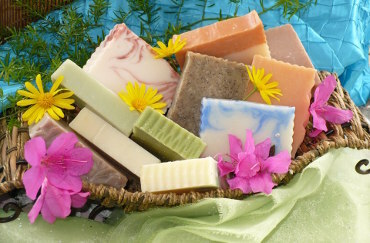 Their soaps and laundry detergents far surpass any natural soaps we have ever used. I will do my best to promote your soaps - I absolutely love them. I have a co-worker who is organic/natural product focused, so I will definitely pass your information on to her.